See a list of the top museums in NY, from all the different boroughs. Whether you're seeking fine art or natural history, we've found the best New York museums that you will absolutely love. If you want to make your trip to NY extra-memorable, check out the top museums in New York. Explore some of the Finest Works of Art in NY! 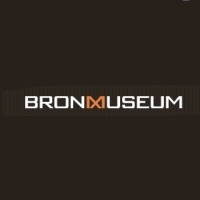 Founded in 1971, The Bronx Museum of the Arts remains a cultural institution in NYC. The museum focuses mainly on 20th century and contemporary art, and maintains a permanent collection of works by artists of Asian, African, and Latin-American ancestry. The venue continuously serves as a forum for artists, residents, and visitors from all over the world to share their works and exchange ideas. During the spring, the museum offers a list of enlightening educational programs, geared towards both children and adults. If you're planning on exploring the best museums in New York, do not pass up this must-see attraction! Journey through the Wonderful World of Science! 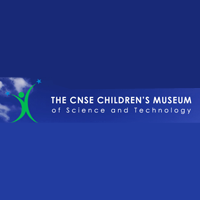 The Children's Museum of Science and Technology in Upstate NY was created as a place for kids and parents to explore the wondrous world of science together. With interactive exhibits, animal shows, planetarium shows, workshops, and other fun activities; your child will never cease to be entertained! At See-more's Explore Store, your child can browse through an exquisite range of imaginative toys and souvenirs. If you're planning to celebrate your child's birthday in the near future, the museum offers "Explorer Birthday Parties," which come complete with Papa John's Pizza, a fun and educational program, a private planetarium show, and more! Free parking is available. One of the Best Children's Museums in New York! 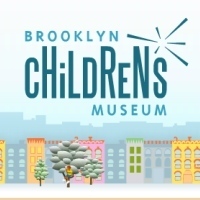 A world-class institution with community roots, the Brooklyn Children's Museum has been entertaining children all over the New York area since 1899. As a matter of fact, the BCM is one of the few museums in the country to be accredited by the American Association of Museums! Explore all types of award-winning, hands-on exhibits and programs that will make your children laugh and smile. 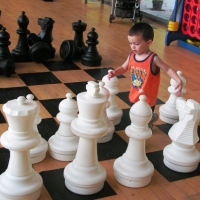 Whether your child's in pre-school or high school, he or she will engage in an exciting learning adventure. If you're looking for a great place to throw your child's next birthday party, the museum offers a list of cool party packages that will fit any budget. A Fun Museum for Children and Adults! 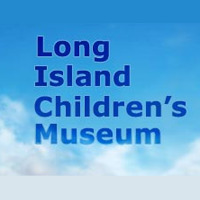 A hands-on, interactive museum that's fun for kids and adults alike; the Long Island Children's Museum offers a series of early childhood programs, family workshops, gallery activities, and much more! The museum is perfect for field trips, scout trips, camp visits, and scout overnights. Self-guided tours are available Tuesday through Sunday, for a minimum of 10 children per group. The gift shop features all sorts of cool merchandise like arts and crafts materials, games and puzzles, and science kits. Do not pass up the chance to visit one of the best museums for kids in New York! View Spectacular Works of Art from Tibet! 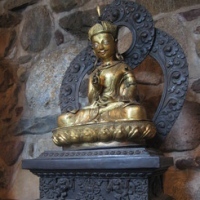 A uniquely peaceful art museum in NY, the Jacques Marchais Museum of Tibetan Art skillfully educates its visitors on the art and culture of Tibet and the Himalayas. Resembling a small Tibetan mountain monastery, the rustic venue was the first museum in the U.S. solely devoted to the exhibition of Tibetan art. The surrounding landscape features a fish pond, meditation cells, and many of Tibetan art collector Jacques Marchais' original paintings. Events include an annual Tibetan Festival, where visitors can sample authentic Tibetan food and purchase all sorts of cool Tibetan crafts. The museum also hosts weekly classes in meditation and Tai Chi. One of the Great New York Museums! 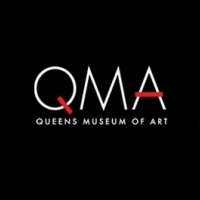 The Queens Museum of Art's mission is to provide art exhibitions and educational experiences that promote a greater appreciation of the arts, as well as support the creative efforts of a variety of artists. Located in Flushing, Queens; the museum's exciting programs and exhibitions all directly relate to contemporary urban life. Free museum tours are available every Sunday at 2 P.M., 3 P.M., and 4 P.M. During your hour-long tour, you'll get to explore all the temporary and permanent art exhibitions. If you stop by during the weekend, you can grab a bite to eat at the Unisphere Cafe which offers small plates, sushi, desserts, and beverages. Discover or re-discover the richness of America's cultural heritage at The Long Island Museum in Stony Brook. As one of the best NY museums, you'll find exhibitions that bring to life the fascinating history and art of Long Island. Browse through a collection of more than 4,000 paintings from the early 1800's to present day. The collection includes a large display of works from renowned genre artist and Stony Brook resident, William Sidney Mount. Within the Carriage Museum you'll find a collection of more than 200 horse-drawn carriages, as well as an authentic 19th century carriage-making shop. 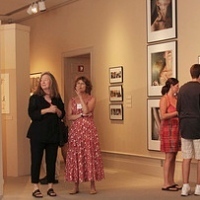 If you're looking for an attractive and unique setting for your next special event, The Long Island Museum provides a large space that accommodates anywhere from 10 to 150 guests. One of the Oldest Museums in the U.S.! Dedicated to promoting interest in the history, art, and culture of Albany and the Upper Hudson Valley; the Albany Institute offers collections, exhibitions, educational programs, research projects, publications, and other programs that help the museum succeed in its mission. 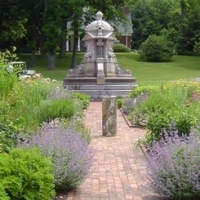 One of the country's oldest museums, the Albany Institute was founded in 1791, while George Washington was President. The museum is also home to one of the best art collections in the U.S., documenting the life and culture of the Upper Hudson Valley region from the late 17th century to present. The majority of objects in the collection were either made in the Albany area or other parts of New York State. One of the Largest and Best New York Museums! Founded in 1870, The Metropolitan Museum of Art (otherwise known as "The Met") maintains a library of some of the most priceless artwork, in addition to encouraging the enrichment of fine arts in people young and old. The Met stretches across more than 2 million square feet and contains a permanent collection of more than 2 million works! Within the permanent collection you will find works of art from classical antiquity and Ancient Egypt, paintings and sculptures from a multitude of famed European artists, and an impressive array of American and modern art. Plus, the museum holds extensive collections of musical instruments, costumes and accessories, and antique weapons from all over the world. One of the Best Art Museums in New York! If you're looking for one of the best museums in NY, look no further than the Brooklyn Museum. Housed in a 560,000-square-foot building, it is one of the largest and oldest museums in the entire country! Behold everything from collections of ancient Egyptian masterpieces to the finest contemporary art. The website features an extensive list of exhibitions and long-term installations that are guaranteed to keep you in awe! Take in one of the museum's many fun and educational events like music and dance performances, workshops, films, storytelling, art courses, and gallery talks. 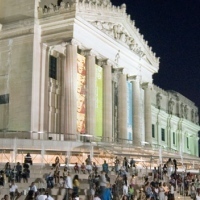 The Brooklyn Museum is conveniently located, as it's only a 30-minute subway ride from Manhattan. A World-Famous Museum in NY! One of the world's most famous scientific and cultural institutions, the American Museum of Natural History has wowed its many visitors with renowned exhibits and scientific collections. Discover facts about human cultures, the natural world, and the universe around us; while you walk the halls of one of the best NY museums. The permanent exhibits include Fossil Halls, where you'll view the world's largest collection of vertebrate fossils, totaling almost 1 million specimens! Included in this exhibit are the museum's two famous dinosaur halls. 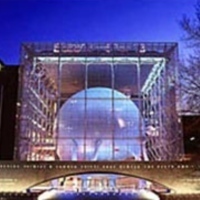 Stop by the Rose Center for Earth and Space, which houses the world-famous Hayden Planetarium. Learn the fascinating nature of galaxies, stars, and planets; including interesting facts about our own planet earth! Explore Several Fun, Hands-on Exhibits! 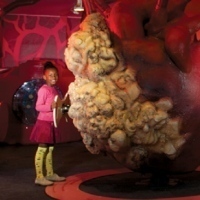 Appealing to the explorer in every child, The Staten Island Children's Museum offers interactive exhibitions and creative workshops with plenty of opportunities for hands-on activities. Nurture your child's natural curiosity and rampant creativity by allowing him or her to explore one of the best museums NY has to offer. The list of enjoyable exhibits includes Bugs and Other Insects, in which your kid gets to crawl through a human-size ant hill! Or you and your child can get wet and wild at Sea of Boats--a weather-permitting, soft-surface play space that features activities like radar, Morse Code, fishing, oystering, and water play. Check the website to keep updated on fun daily events at the museum. One of the Great Children's Museums in NY! For over 30 years, the Children's Museum of Manhattan has been a top destination for families of all backgrounds to learn, play, and grow together. Each year the museum entertains thousands of visitors with groundbreaking exhibits, topnotch programs, and first-class performances (including ones by Broadway artists, professional dance troupes, and popular recording artists). One of the most popular exhibits is Playworks, which is designed to help families prepare their children to enter school ready to learn and grow in fun and innovative fashions. Are you planning your child's birthday party? There's no better party place than one of the top museums in New York! Choose from a nice array of party themes, aimed towards children ages 1-10. Are you running out of things to do in NY and walks in the parks of Long Island or clubbing has been a mundane way of spending the crisp afternoon air or hyped evening? Contemporary art museums in NY are the best place to be! These museums display/ exhibits’ the best arts and culture in NY throughout the century---from the hippie 60’s to this day’s modernity. New York City has changed and evolved through the century and these contemporary museums let people see and understand how things in NY came to what they are now. 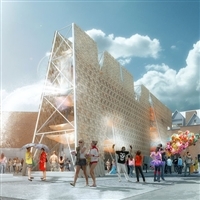 MOMAPS1 is one of the Best Arts and Culture museums in New York. 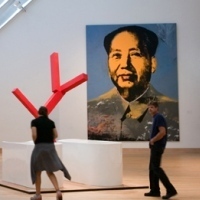 In fact they are the oldest and largest nonprofit contemporary art institutions in the United States. Be a catalyst of art and innovation at the PS1 Contemporary Art Center. Get your selfie sticks ready, because New York City's Madame Tussauds in Times Square is the only place with no ropes or barriers holding you back from getting photos with your favorite stars! 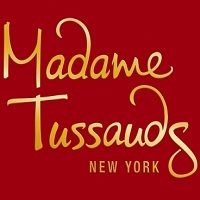 Voted as one of New York’s most unique attractions, Madame Tussauds invites you to pose “In a moment in time” with your famous fun figures of internationally renowned musicians, A-list stars, sports legends, world leaders and more.